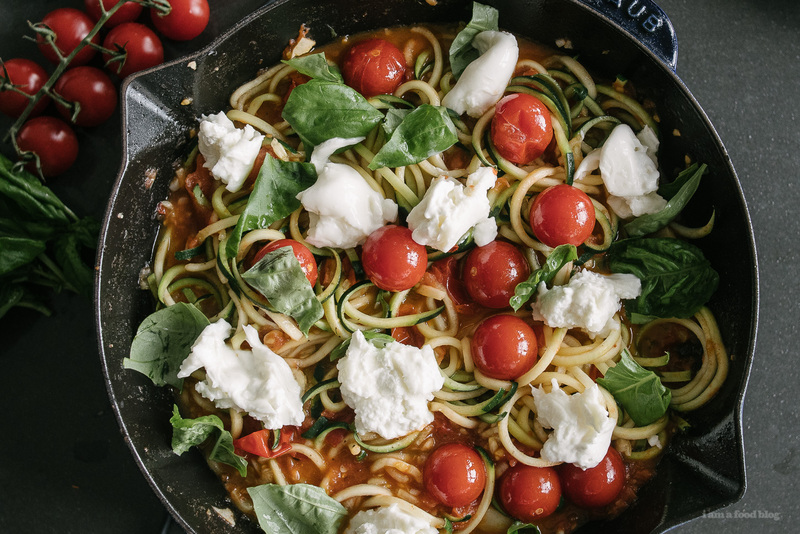 Made a classic Italian dish extra-healthy with zoodles, then made it not so healthy by adding burrata, because burrata. I’m hanging on the the last vestiges of summer with tomatoes, basil and burrata. I think what I love so much about fall is the changing of the seasons. I like that last gasp of summer, with the sun gloriously warm in the afternoons, quickly cooling down to jacket wearing chilliness in the evening. I made this after Mike and I took a brisk walk around our neighborhood. I’m hoping that it wasn’t one of the last sunny days, because once the rain starts here, it really starts. 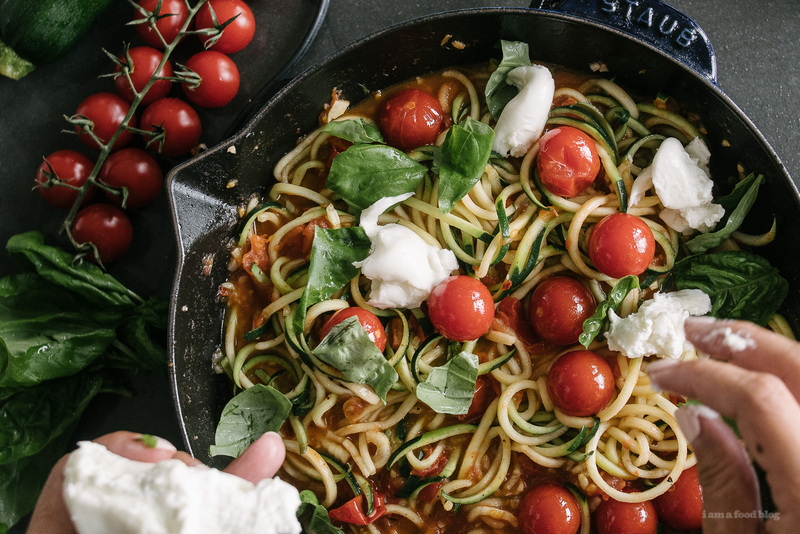 Still, I’m going to pretend it’s end of summer for just a little while longer with this super quick and easy tomato, basil, zoodle dish. 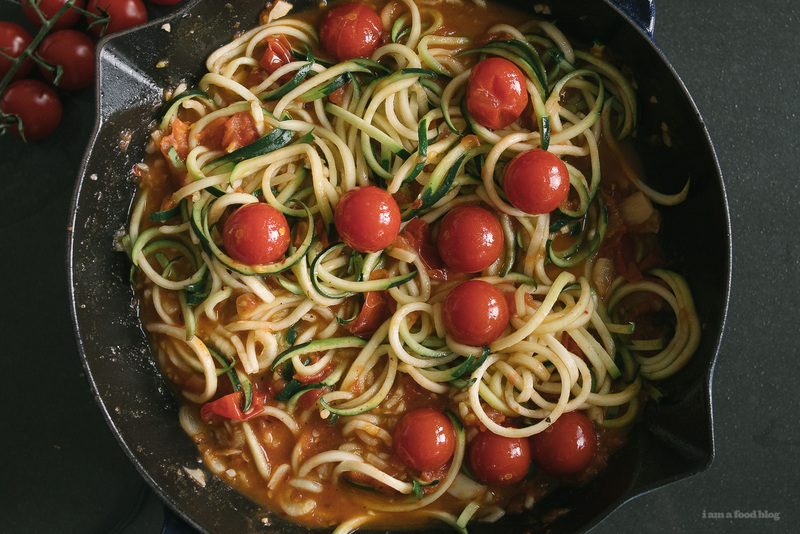 This guy takes less than 20 minutes from start to finish and is classic comfort food, minus the carbs. I added burrata to it because I’m still obsessed with burrata even though it’s so 2008. Burrata and summer forever! Heat up the olive oil over medium heat and add the garlic. Cook, stirring often, until lightly golden. Add the medium tomatoes, cover, turn on medium high and cook for 5 minutes. 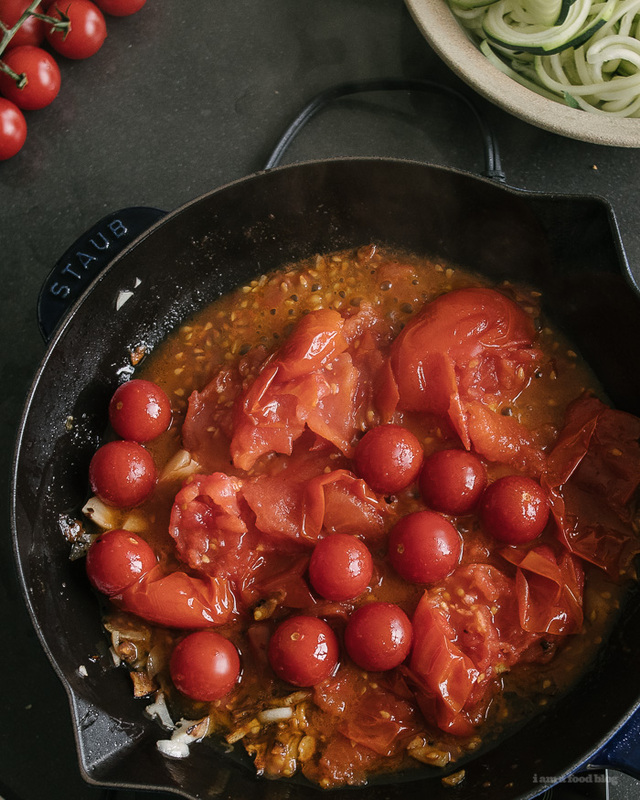 Remove the lid and carefully, using the back of a wooden spoon, crush the tomatoes into a sauce. Add the cherry tomatoes and cook until the sauce is bubbling and has reduced slightly. 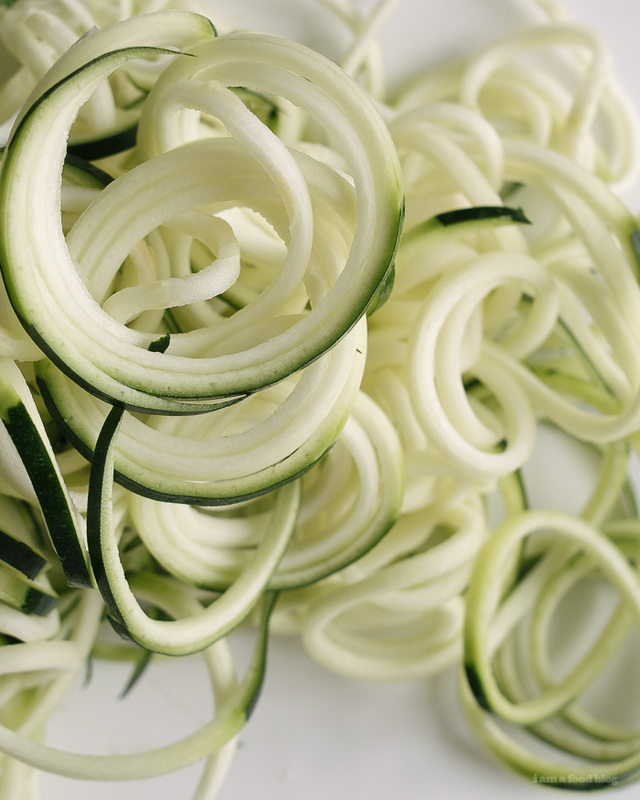 Add the zoodles, tossing, until cooked through and tender, 2-3 minutes. Turn the heat off and garnish with torn basil and burrata. Season with salt and pepper and finish with extra virgin olive oil, if desired. Enjoy! Even though I’m usually the no. 1 advocate for ‘real’ pasta, this looks utterly delicious. And burrata will *never* go out of fashion. It is too damn wonderful! 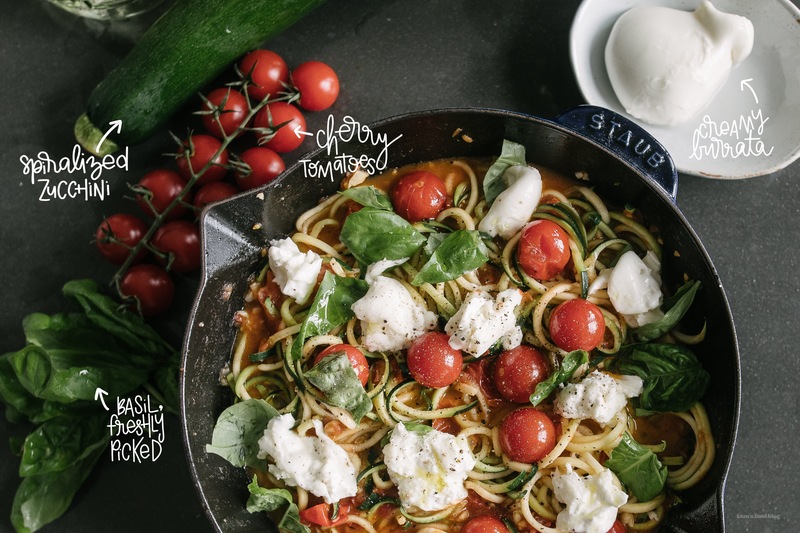 I love a good bowl of zoodles! These sound wonderful! used such a sweet curly font for your 1st photo. may I ask you which font’s that .? As a fellow Vancouverite, I too am hoping the rain holds off for the next little bit. This looks great! Any good local places that you buy your burrata? I’m finding it difficult to source one that isn’t SUUUPER high end. THANKS! 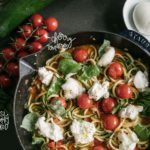 You had me at burrata! This looks great and perfect for those Mondays when I’m dead tired and don’t want to cook! So delicious with simple ingredients! And I love the colours! Great simple recipe! Burrata looks lovely! Happy 2015 and a Blog Redesign!